Use a variety of drawing tools, character stickers, backgrounds, cutie marks and much more to create and decorate amazing pony-rific pages to share with your friends! My Little Pony Smart Stylus wirelessly interacts with the app! 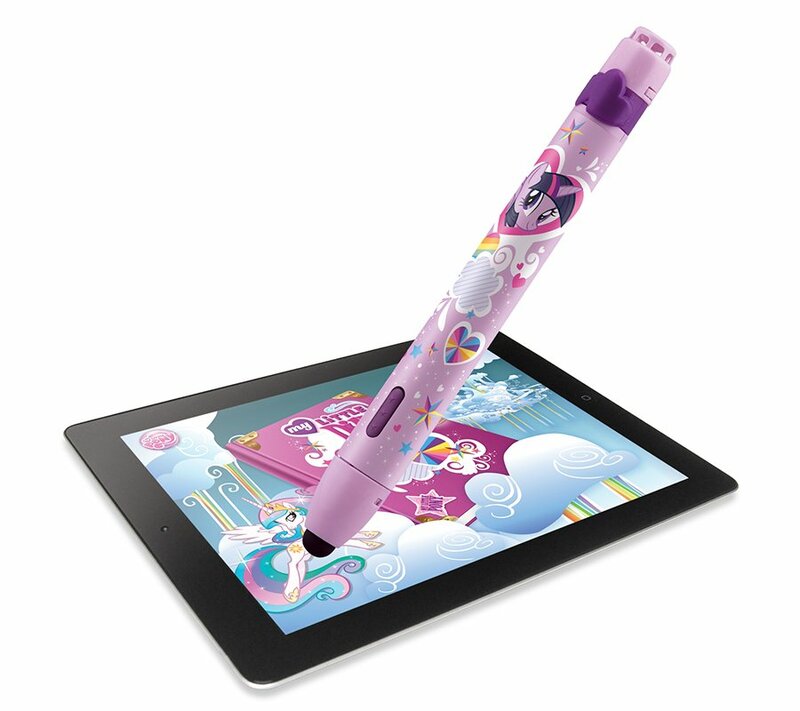 Click the stylus to remotely snap a photo and then "Pony-fy" yourself with special My Little Pony inspired stickers! Flip the stylus to triggers special animations and sounds! Shake to trigger special animations and sounds! Design your own "Ponyrific" pieces of inspired artwork with My Little Diary App! Create - Let your imagination soar with all your pony friends as you create and curate a digital diary filled with custom ponies, cool photos and digital stickers. Customize - Design and color your favorite Ponies to create unique My Little Pony-inspired digital stickers. 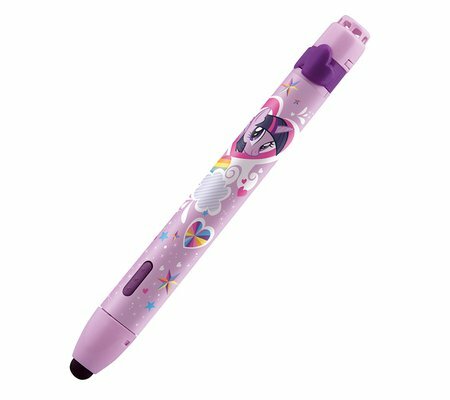 Then add then create amazing diary entries with all of your favorite My Little Pony characters, backgrounds and accessories. Share Your Diary Pages - When you are done, save page to your very own digital My Little Diary. Flip through the pages individually or share them with friends as a slideshow.